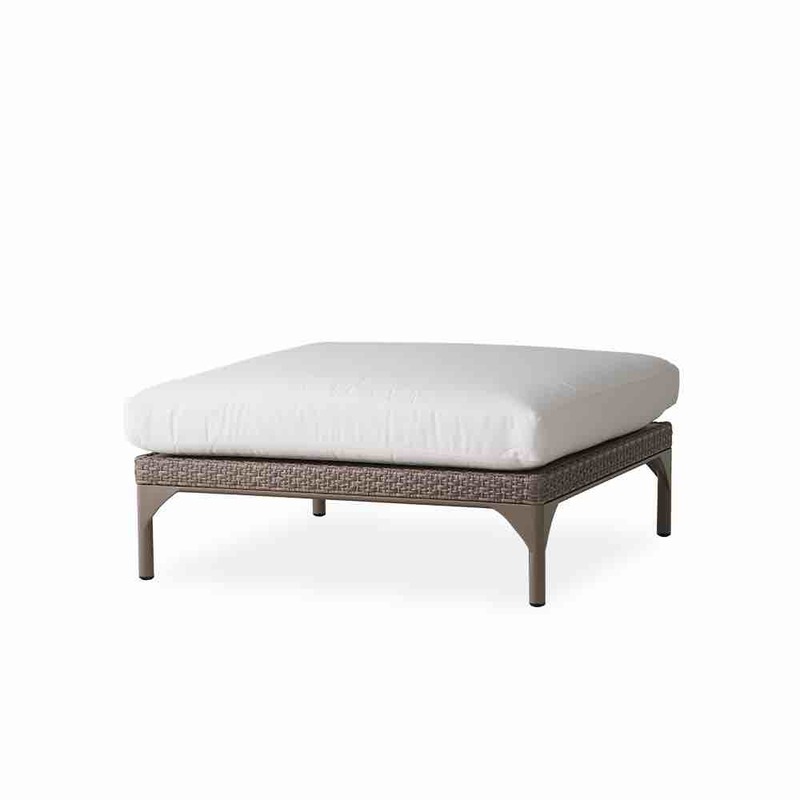 Try this Martinique large outdoor wicker ottoman by Lloyd Flanders for your patio or four season room. Large 42" square ottoman that can be used by more than one. Thick comfortable cushions make this a great foot preserver. This ottoman was designed to be used with its companion Martinique furniture. However, you can use it on its own or with anther outdoor set. 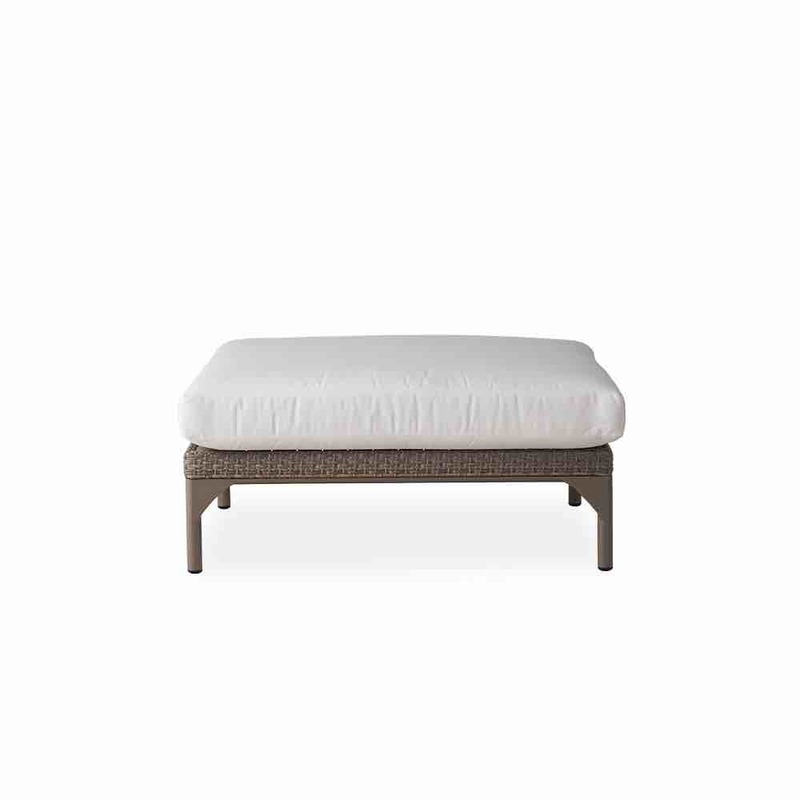 Modern styling with close weave design and luxurious cushions make this and excellent choice for your patio wicker set.